The weekend before last, Illiards and this correspondent attended the 20th anniversary of Eurofest 2012. Despite having lived on the insular peninsula for over 12 years now, I’ve never been to Eurofest. Each year I see the signage – I think “I’ve got to get to that”, and then it all gets too hard. This year the stars aligned, and illiards and I had to find a distraction for half a dozen children so our debut at Eurofest was ensured. (That, and the Manly Daily confirmed that there would be beer there). Ararat Reserve is a large place, but there was barely a bare spot with a proliferation of large performance tents, food-stalls, jumping castles, rides and over a thousand people of all ages wandering around. 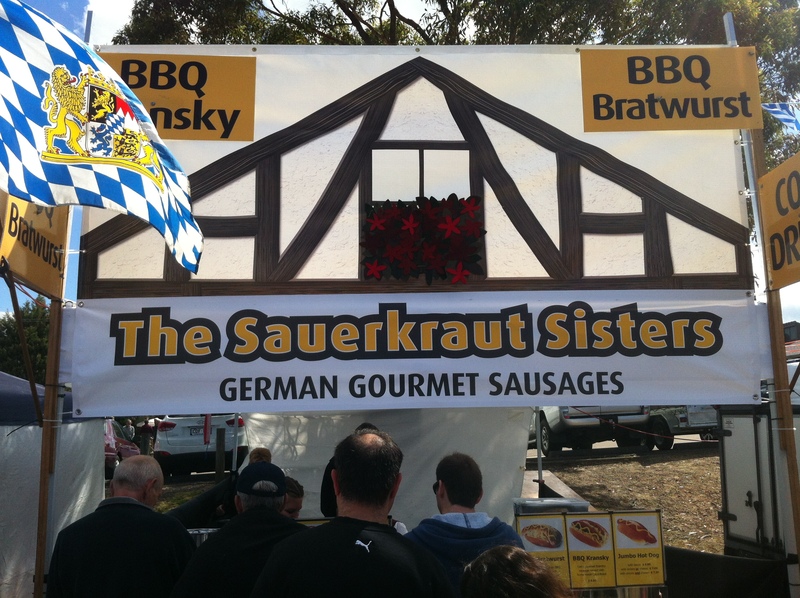 Our half dozen companions immediately began clamouring for turns on various rides, but the quid pro quo was a stroll through the food stalls and a reccy of the beer tent. A terrific feature was seeing so many people dressed in a national costume just strolling around – blokes in lederhosen, women in intricately embroidered tunics and dresses and plenty of kids in wonderful dance costumes. On each half hour there was a performance by a national group. Whilst my little fella was riding Thomas the Tank Engine, I stuck my head into a performance tent to hear a bunch of Georgians sing a lumberjack song. It must be a pretty gloomy profession in Georgia. Artistic cultural experience ticked off it was back to the food and drink. There was no shortage of culinary experiences not easily found on the insular peninsula – Czech, Dutch, Turkish (not counting Kebab shops), Armenian, German and my selection – Serbian. 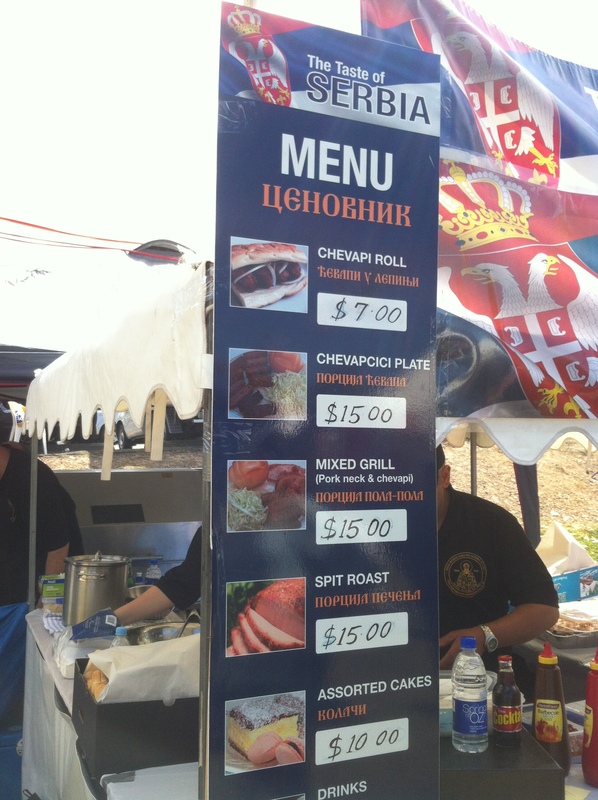 I’ve always been a sucker for a mixed grill and the Serbian menu offering pork neck, pork crackling and Cevkapi just couldn’t be passed up. 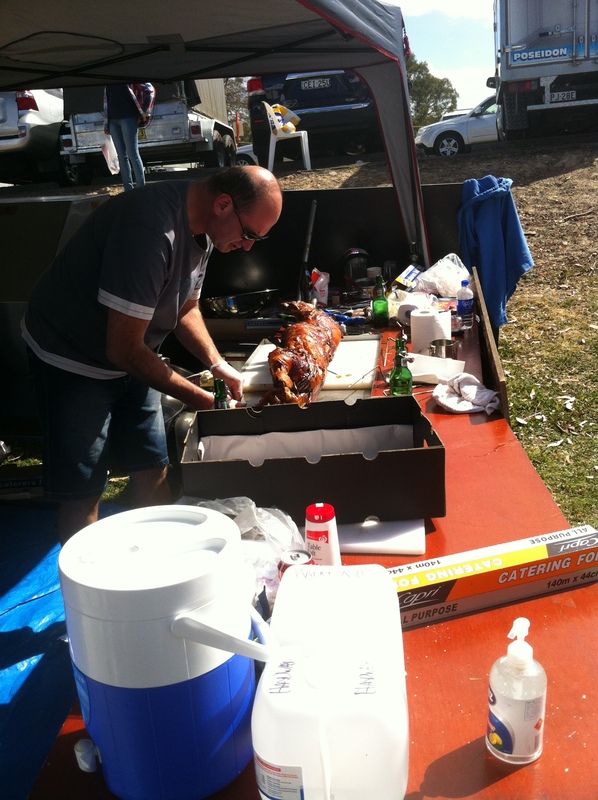 It was barely midday on the first day and already the second pig was being carved up. The welcome surprise for me was the generous addition of a chili and herb sauce – a new taste sensation. The standout was the pork neck – but it was all good. 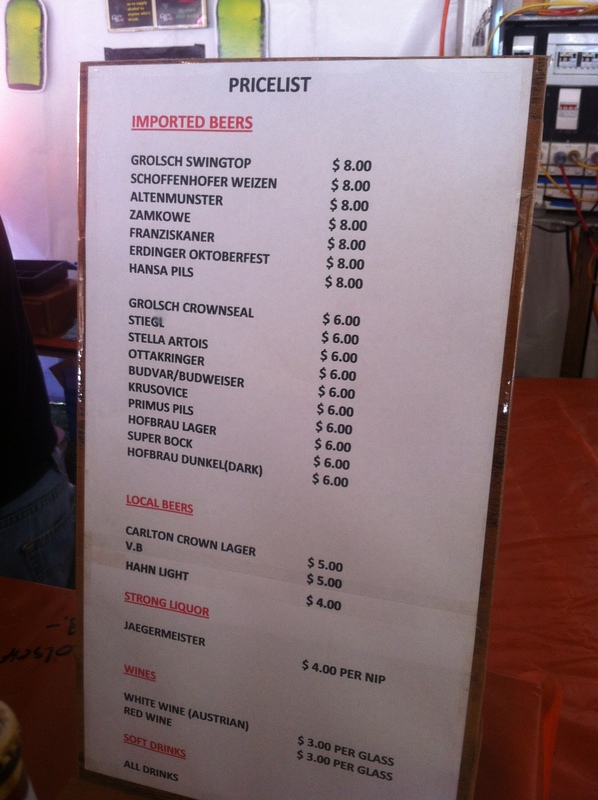 As popular as the food stalls were, there was no doubt the beer stall had the most constant throng. No wonder – it was getting warm and a good mixed grill or sausage etc needs something amber to wash it down. illiards wasn’t driving and managed to cover off Poland, Belgium, Germany and Portugal in pretty short time. Austria, the Czech Republic and Holland was also represented. 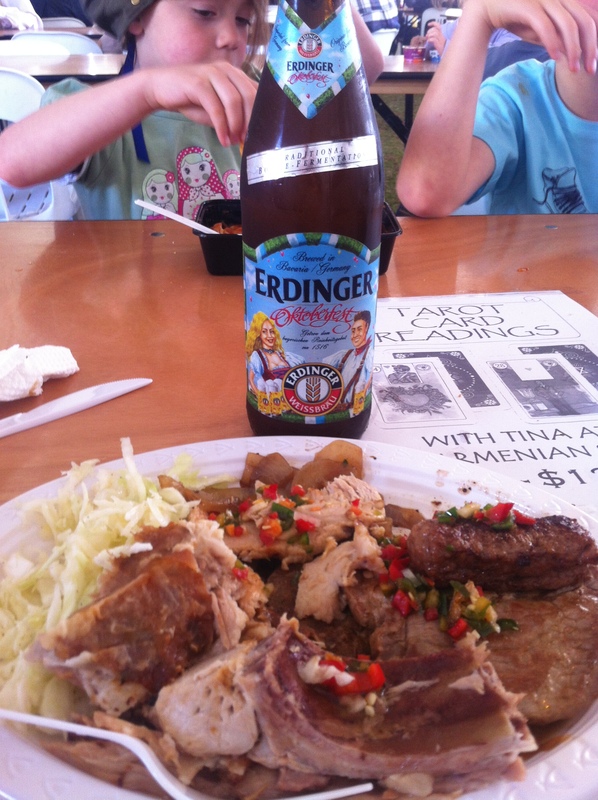 I enjoyed a bottle of Erdinger Oktoberfest, which was surprisingly an @Untappd unique. 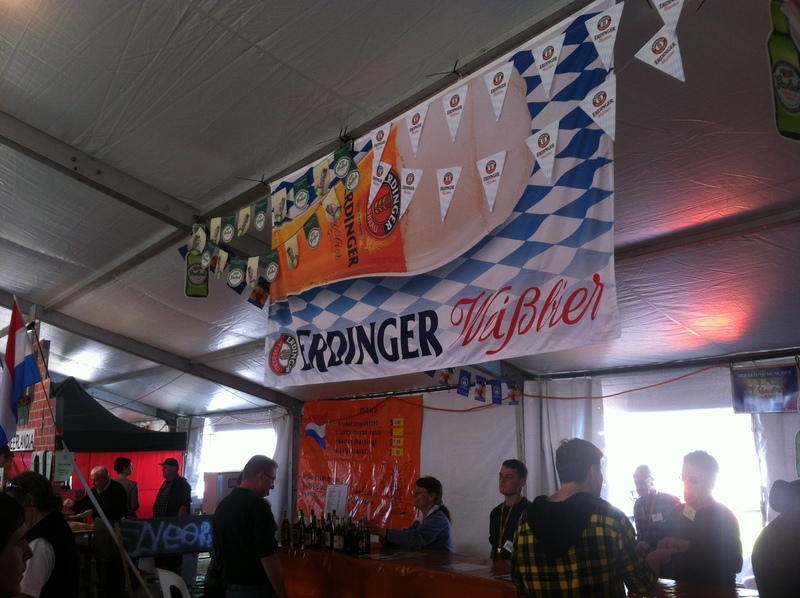 Erdinger proclaims itself as the largest brewer of Wheat Beer in the world. I’m not sure if the Oktoberfest version is a special brew or just an Oktoberfest branded bottle of the standard Weissbeir. It didn’t matter, it was a fine example of wheat beer – nice banana aroma and quite earthy. A real sessionable drop. I think hefeweizen will be my drop of this summer. 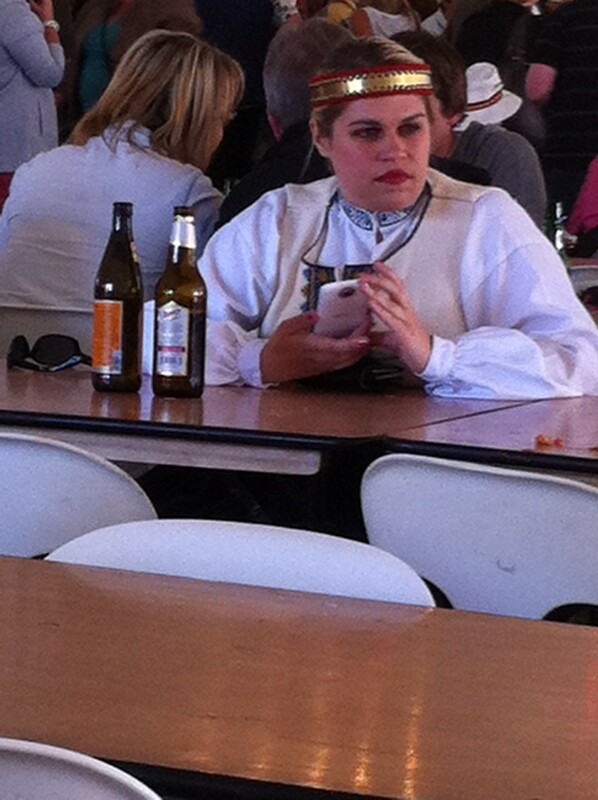 Whilst we were sipping away, my daughter spotted a young lady in national garb doing a quick spot of beerporn. We got the happy snap off a little late, but I can assure you that she was doing the whole @Untappd check in and accompanying photography. Magnificent.